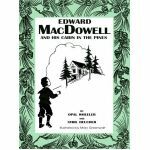 The Great Musicians Series and Composer Series by award-winning author, Opal Wheeler, are wonderful illustrated reprints written in the mid-1900's. 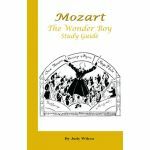 Each delightfully-written story features a famous musician or composer, are illustrated with original drawings, and even contain samples of each composer's sheet music. My daughters have read several of these while playing the CD/DVD's (sold separately). They really enjoyed them, and look forward to reading more in the series. Besides audio files, the CD contains coloring pages and printable sheet music. The DVD's contain the works of 2 composers. You can also get a study guide (sold separately) for most of the titles in the series. 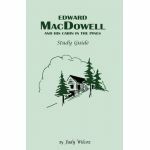 The study guides contain interesting tidbits of the composer's life, maps and timelines, comprehension questions, and even some fun puzzles. These classic stories make a great addition to any study of the reformation, or recent world history (1600's to 1900's).